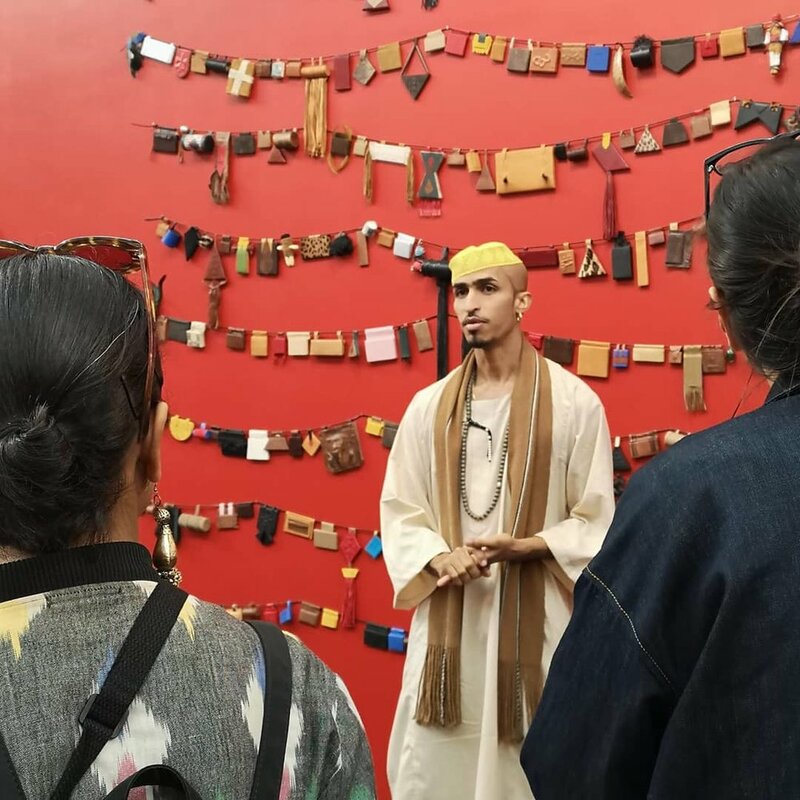 PRAKSIS’s 9th residency, Adornment and Gender: Engaging Conversation was developed with artist, writer and curator Benjamin Lignel, in collaboration with Norwegian Crafts. 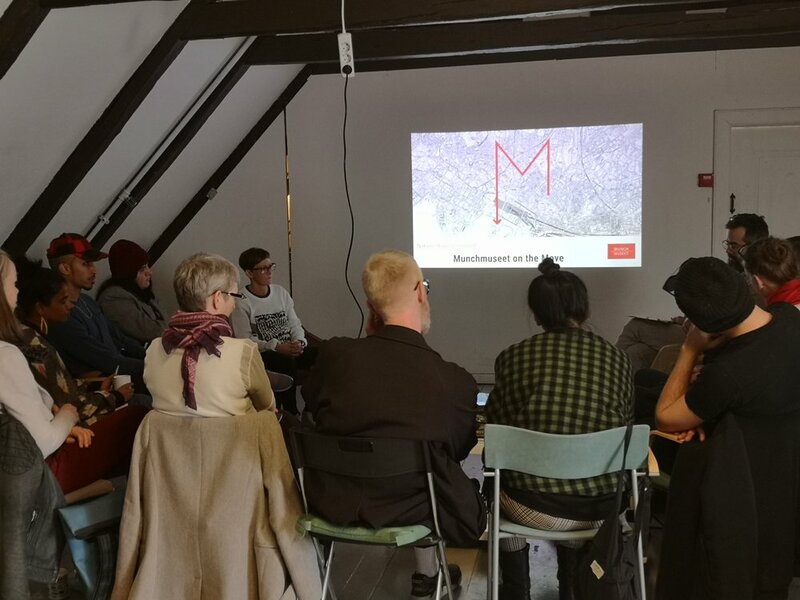 The residency took place in Oslo from 23 April – 3 June 2018, with intensive collective activity taking place in two sessions (i) 23 April - 4 May and (ii) 21 May - 3 June. Over the past two years, Benjamin Lignel has been researching together with Namita Wiggers. This duo are interested in how gender politics are intertwined with material practices of creating, putting on, customising, mixing adornment. They have been talking, with performers, thinkers, artists, collectors, dealers, asking them how adornment has informed their professional and or private lives, and how it contributes to (their) performance of gender. “There is some urgency in documenting the role jewellery plays in individual expressions of gender, and making conversation around jewellery as a means to enforce and disrupt norms: we would like to understand how personal his and her stories mesh with social policies and body politics to inform the polyphony of adornment strategies. This may be achieved by interviewing subjects, photographing them, or asking them to share documents from their archives. During Adornment and Gender: Engaging Conversation a group of local and international residents from varied backgrounds, worked alongside Lignel to question these premises, collectively seeking alternative ways of making stories and evidence of adornment available to the public. In the process, Lignel shared research conducted with Namita Wiggers to date, and proposed to test hypotheses about how most effectively disseminate findings. Residents were invited to question conventional dissemination formats (i.e. the book, the exhibition) and their premises: that an exhibition is ephemeral, that visitors know less than curators, that knowledge is scientific, and an exhibition a form of proof, that a book is more accessible than an online platform and so on. 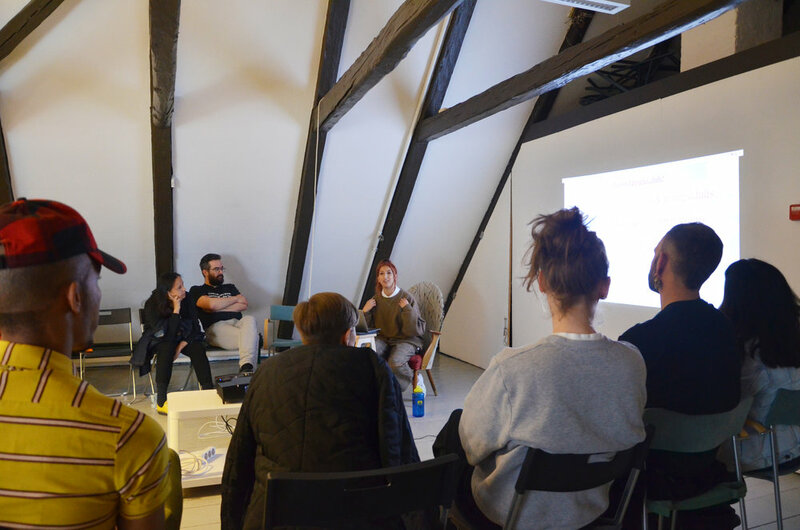 Session 1 (23 April - 4 May) was devoted to presenting participants’ involvement in subject, sharing sources (through reading sessions and screenings), discussing Lignel and Wigger’s material to date, questioning methodologies, harvesting new testimonies locally. A seminar will take place during this first session to hear artists, anthropologists, queer theorists, performance artists on gender and adornment. Session 2 (21 May - 3 June) focused on presentation strategies, online and in real life, of the material produced/discussed in session 1. 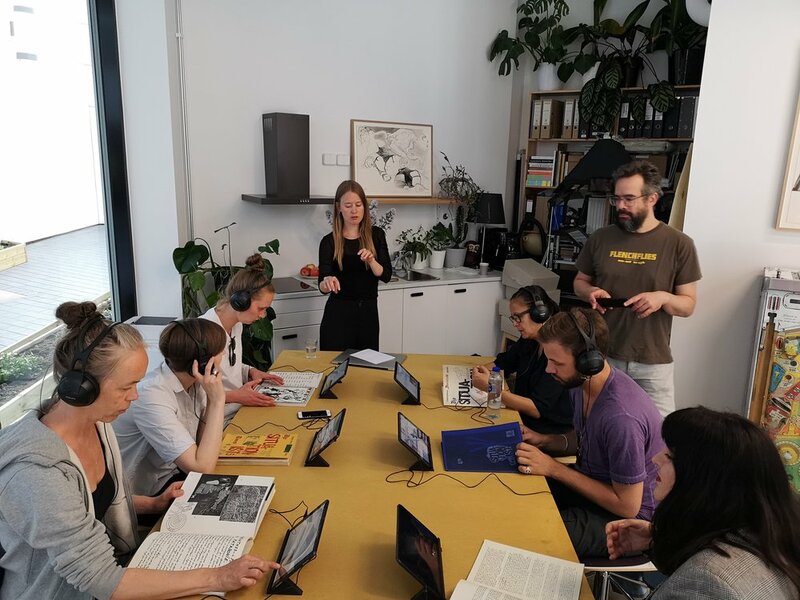 During this second session, a series of visits created the opportunity for participants to meet with: information designers, sociologists, educators, graphic designers, conservators. Norwegian Crafts (established 2012) is a non-profit organisation whose aim is to strengthen the position of Norwegian contemporary crafts. 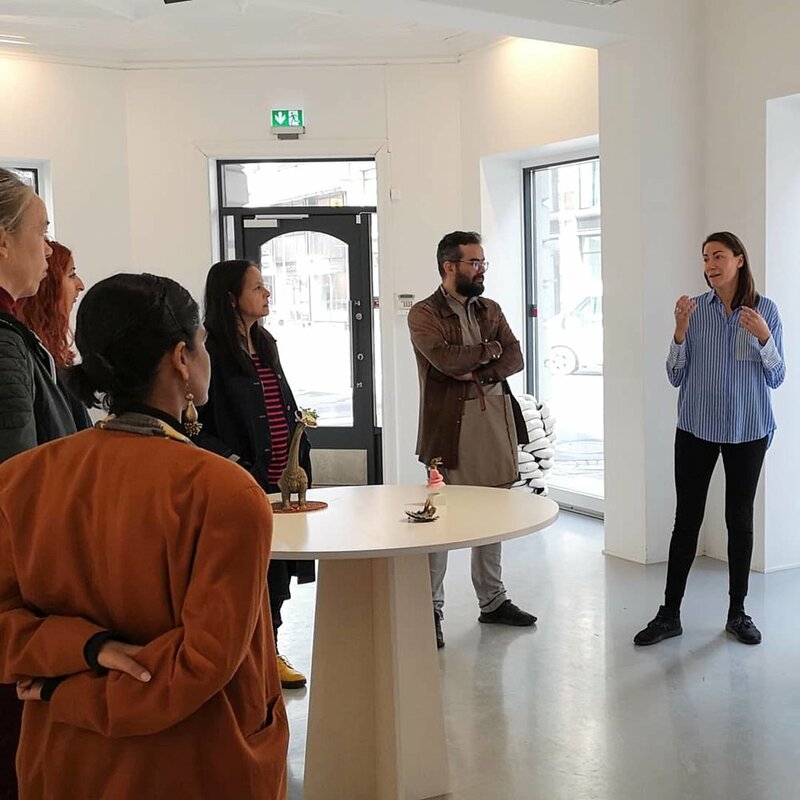 The organisation facilitates exchange between agents in the international craft scene in order to create more opportunities for Norwegian artists and craft professionals abroad. Norwegian Crafts works with a wide range of projects within five main areas: exhibition programmes; critical theory and publications; market development; network and exchange; and residencies and support programmes. 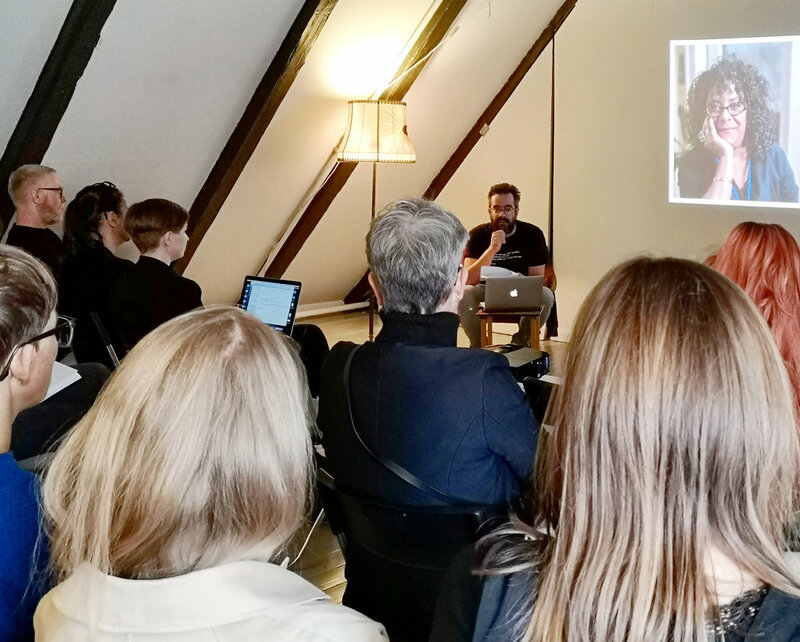 Benjamin Lignel worked together with staff from Norwegian Crafts and PRAKSIS to select a diverse group of ten talented participants from arts, crafts, jewelry, fashion and research backgrounds. 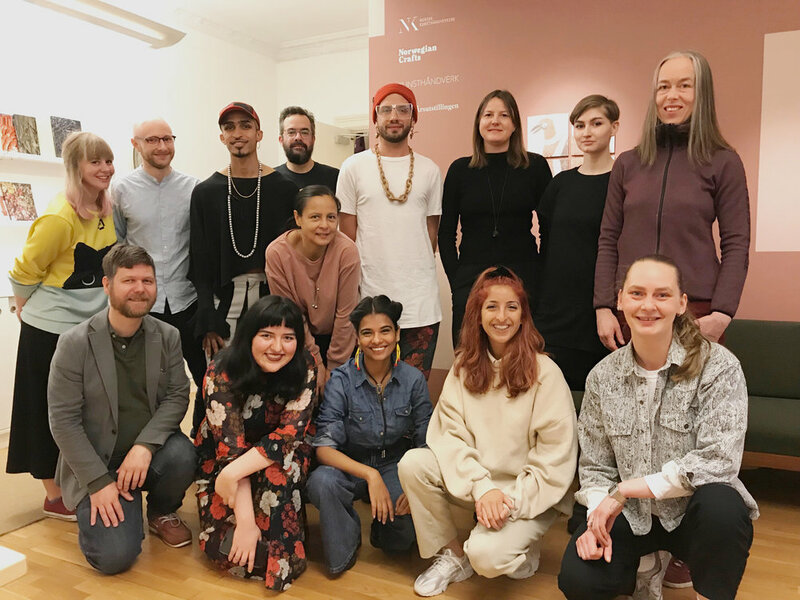 These include: Tone Bjerkaas (NO), Auli Laitinen (SE), Matt Lambert (US), Nanna Melland (NO), Darja Popolitova (EE), Aleyda Rocha (MX), Mallika Roy (US), Heidi Sand (NO), Shweta Sharma (IN), Ahmed Umar (NO). 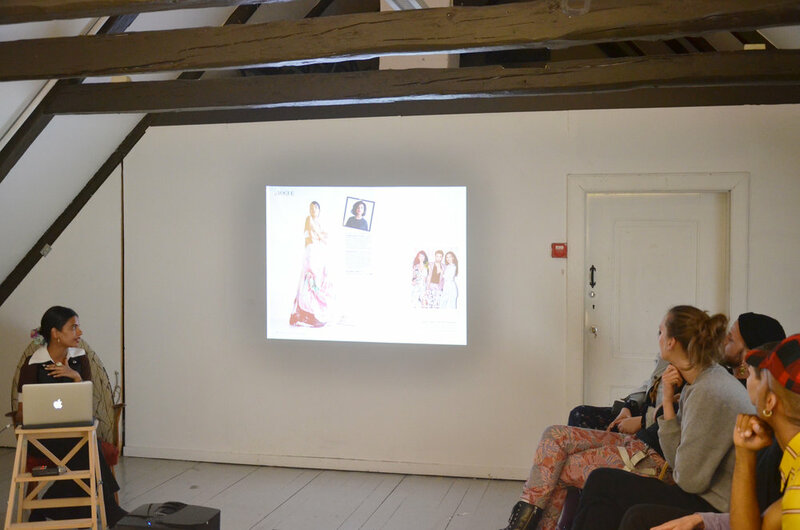 Public talk - A Tentative Discussion with Benjamin Lignel and Adornment and Gender Symposium. Visits to Galleri Format, Kunstnerforbudet, OCA, PUB, Kunstnernes Hus, Kunsthall Oslo and Kunnstplass. Collective workshops, film screenings, discussions, meals and other activities. Gender & Adornment Website - During the final days of the residency, the group identified aspects that had been key to their experience. These kaleidoscopic reflections can be viewed on their specially constructed website - Click here to see what they found important. 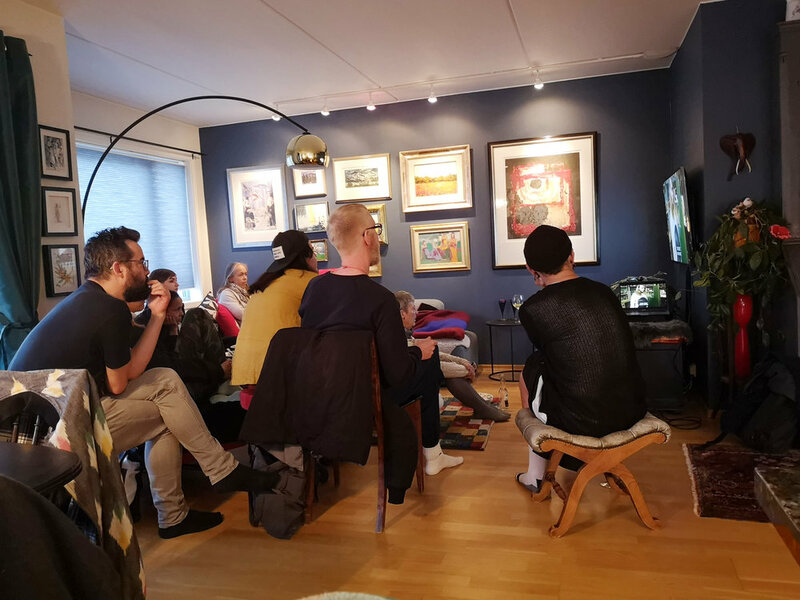 Norwegian arts and culture journal, Subjekt’s Una Mathiesen Gjerde dropped by PRAKSIS to interview Benjamin about Adornment and Gender: Engaging Conversation. The article, in Norwegian, is online here. For those unable to read Norwegian, PRAKSIS Founding Director, Nicholas John Jones caught up with Benjamin Lignel to ask about his experience of the residency; what went on, and why? NJJ: Ben, it's been a real pleasure and hugely rewarding for me to work with you on this residency. Looking back, can you tell me a little about the context of your research into the relationship between adornment and gender, and why this subject is so important? BL: Of course! This project started three years ago, when I was editor for the American non-for-profit organisation Art Jewelry Forum (AJF). During one of our monthly editorial meetings, scholar Jenni Sorkin asked if we had ever looked at jewellery from a gender-theory perspective. We had not, and the editorial committee decided that we should devote a book to the subject. From the outset I felt that a singular editorial voice and the usual one-year turnaround would not work, so I asked the multi-talented curator, scholar and educator Namita Wiggers if she would work on the project with me, and – bless her! – she agreed. Three years later it has blossomed into an ambitious research project that aims to create an interactive, non-proprietory, open-access archive of interviews, commissioned images and essays on the gender work of jewellery. It involves a large (and growing) worldwide team of allies. Why is this important? Though my background of 20 years is “in” jewellery, I have tended to consider the relationship between jewellery and gender as “obvious”: specific objects and gestures are culturally associated to specific gender types. The stability of these categories apparently allows a certain amount of trespassing across gender lines; we “sort of know” how that works. However the reality turns out to be more complex. Jewellery offers a particularly privileged means to both endorse and contradict cultural norms, while gendered connotations are culturally and historically situated. Unsticking it from the “obvious” or the “natural” opens up the gender work of jewellery to a much more nuanced and multi-layered reading. In effect, acts of adornment turn out to be a fantastic lens to understand gender performances across the Western world, in all their contradictory beauty. What were the key focuses of the residency, and what did you hope it would achieve? The invitation to work in Oslo came at a pivotal time in the research process. Namita and I have collected 28 interviews so far and are busy thinking about the best way to publish them. “Publishing”, in this case, implies quite a long chain of activities. First, the interviews are transcribed, then Namita and I annotate them and indicate passages that could be edited. This is then sent to the interviewees, who respond to our additional comments and questions with written answers. This process was conceived as a way to “continue the conversation” and transform the exchange that is at the heart of any editorial process into a opportunity to dig deeper in the questions at hand. At the end of this process we have a complex object: a primary text accompanied by a string of comments and questions, further enriched by the interviewees’ responses. Meanwhile, these interviews relay the often intimate life-stories of people who experiment with expressions of gender: they push, they probe, they try things out, and en route, may have been subjected to quite a lot of push-back, not least the everyday abuse and discrimination that comes with challenging heteronormative and/or binary cultural coding. And so, we asked ourselves, how do we amplify these voices in a respectful way? What are the ethics of collecting, editing, and publishing stories about gender expressions? Who can we talk with to help us better understand the ethics of choosing certain formats, how to deal with authorship, how to give these inclusive conversations an inclusive platform? Namita and I feel a particular responsibility towards building a research that is non-exploitative – that may not resolve, but at least should recognise, the fact that processes of othering, voyeurism or exoticising can take place when we interview someone about things we have little interaction with. 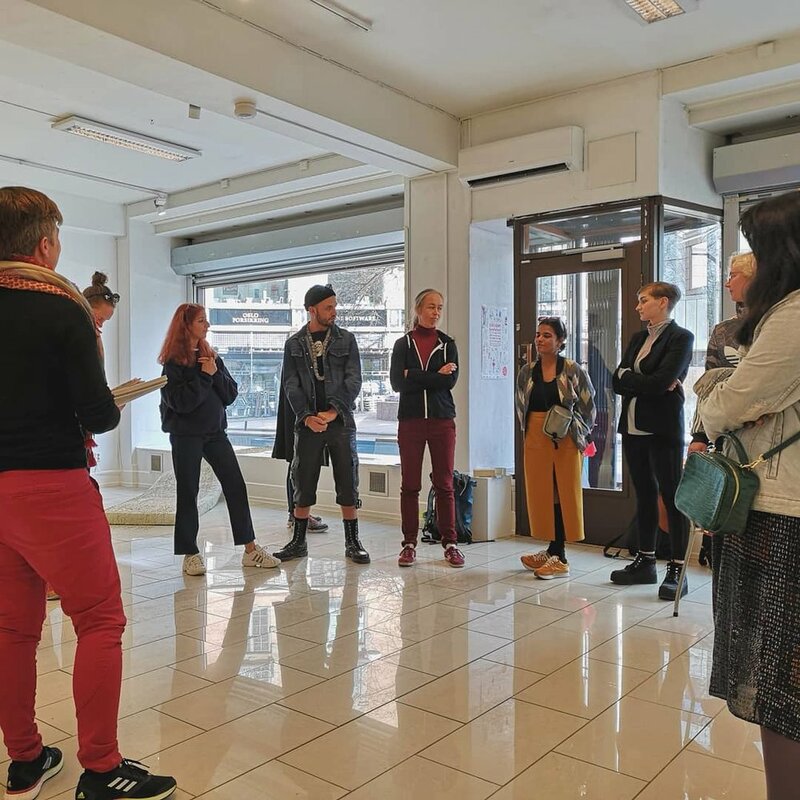 The residency was built around these questions, and aimed to answer them through conversation with an incredibly diverse group of residents – plus the (amazing) professionals that you, Nicholas, put us in contact with during our stay in Oslo. Now that you've had a little time to reflect on the residency, are there particular things that stand out in your memory—that will stay with you? Were there things that have challenged or shifted your preconceptions? Wow. Where do I start?... This residency has been challenging and rewarding in ways that I did not expect, and over the last few weeks, I have been thinking about it extensively. It continues to feed me intellectually and emotionally, and has opened up lots of new subjects for me, even as it challenges some of my assumptions. One of them - possibly the most important one - could be described as the Western Rational Hypothesis, which posits that an agora of peers intent on expanding their knowledge will default to conversation as the best means to implement that plan, and that this will happen “naturally”. That ideal – which I suspect is a direct product of my French education – begged many questions, and my God, we certainly did not let it rest for a minute! How we facilitate conversation - and in turn, what conversation permits - was central to the residency. We questioned the gap between the ideal and the reality, we looked at other forms of learning, we considered issues of respect and safety. We started paying extreme attention to how we gathered, how we shared the floor, whether everyone was allowed to speak, and how we reached agreements. The materiality of “making conversation” (you know: circle or semi-circle, chair or grass lawn, static or deambulatory) turned out to be a good index of what the presumed goal of a conversation might be. This line of enquiry - which happened alongside an intense engagement with texts, images, films that dealt with gender and adornment - was an eye-opener. I hope that one of the outcomes beyond the residency will be you and I channelling this aspect of the residency into a book. PRAKSIS is founded on the principle that it's deeply productive and meaningful (although rare) to spend extended time with others you would not normally meet, yet with whom you share common interests; also, that this experience is further enriched by collective diversity. Based on your experience, do you agree? What do you think of the model? Could you, on a personal level, have had an equally, or more, productive experience working alone? My previous answers cover this in part: this residency put the format of PRAKSIS on trial. This occasionally made us forget just how much we were getting exposed to, in a way that solitary work can never do. Human encounters were made intense by the vulnerability that I believe everyone experienced at some stage during the residency, and more intense still by the residency format itself: a combination of formalized meetings, with informal moments of small-or-large-group domesticity, meals, immersion in nature. The sum of that was incredibly productive, and elicited strong intellectual and emotional responses from everyone. To paraphrase philosopher Isabelle Stengers, it transformed the relationship that each one of us has with her or his own knowledge, and allowed the group to bring forth something that we would have been incapable of producing individually. The PRAKSIS model is human-focused and human-led: this residency was intensely that, and I loved it for that very reason. This next question might seem a bit peripheral, but I think it’s important. I know you had been to Oslo before, but having spent a longer period in the city what where your impressions? Was it as you expected, and do you plan to be back? As you know, one of my best friends lives here: I met her here some 20-odd years ago, freshly graduated from art school. Collaborations with Norwegian Crafts have recently given me the opportunity to come back, generally for a few days at a time. 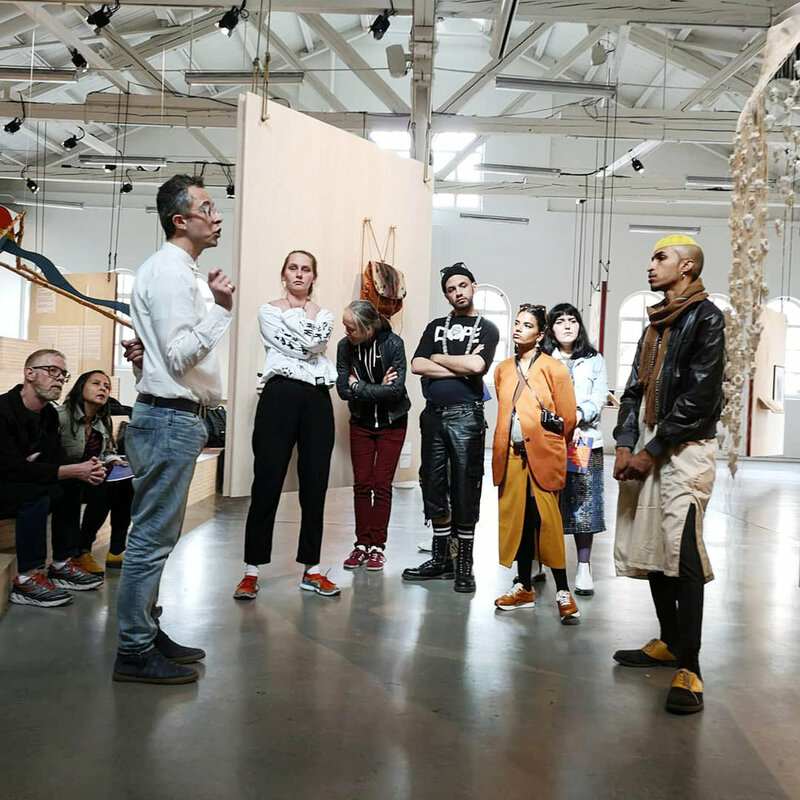 I invariably enjoyed myself, but this residency provided a much more intense immersion in the city – specifically into the ecology of its cultural sector. The people we met and the nature of those encounters made it easy to feel less like an outsider, and more like a temporary member of the family. We enjoyed spookily good weather during the residency. We saw a lot of the city’s residents looking skyward with suspicious eyes, though it generated a diffuse sort of happiness in everyone. We were very pampered by Charlotte and yourself – you both made sure that the eleven residents were fed, our needs satisfied (within legality! ), and our meanderings in the city made pleasant and effortless. These were particularly auspicious conditions to discover a city and a people - and I do bear that in mind when telling you that yes, I very much look forward to coming back: I have got a lot to learn here, and know I will do so in good company. Thank you Ben, that’s really good to hear. I for one am looking forward to your next visit.